Your Epson DTG printer features integrated self-cleaning. To ensure reliable and durable operation additional periodic manual cleaning is required. This cleaning is important and if not performed as specified in the user manual then it may invalidate warranty &/or the terms of a Service pack. This kit has been designed to assist with the cleaning process. 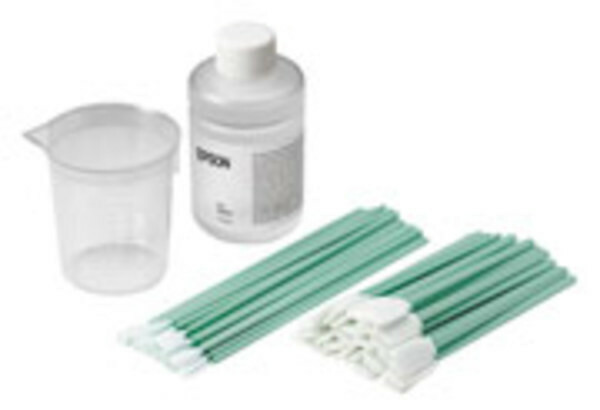 It includes 25 short cleaning sticks, 25 long cleaning sticks, gloves, cup, and cleaning fluid (150ml).